• Healing music to balance your energy, mind and spirit. 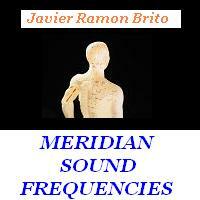 • Sound healing for your body's chakras and meridians. • Subliminal audios to improve your life. Welcome to my website of healing and meditation music, sound healing frequencies for your chakras and body meridians, and subliminal mp3s to improve your life. I dedicate this site to all those who enjoy the holistic healing power of music and to all those who through music are able to receive the divine essence of love, beauty, peace, inspiration and joy. I offer my music free to stream online. You can also download it digitally for offline listening. Your purchases support my work as a musician. You can also click the “Share” button on any music player to embed it on your blog or webpage, share it on Facebook or Twitter, or email it to a friend! If you are looking for healing music to relax, find inspiration, meditate, find inner balance and peace, dream creatively or raise your vibration in the ascension process, you are in the right place. This is spiritual music that promotes your intuition and helps you to become more attuned to that place inside of you where you find natural wellness, inner peace and inspiration through meditation, creative dreams and visualizations. You can watch theFREE MEDITATIVE VIDEOS made with this music. Discover the real healing power of spiritual music. Experience joy and manifest your dreams. Create abundance. Achieve peace and speak to your divine source. Feel free to share these videos or post them wherever you like. What healing music do you want to enjoy today? You can listen to my healing meditation music on radio mode, on any device (computer, mac, iPad, IPhone, android or any smartphone)because I am using music players with HTML5, so you do not need to have flash enabled in your device. Think of it as an internet radio. Just choose which of my albums or songs you wish to play online. And if you wish, you can share my with your friends on your favorite social networks, or embed the music players on your blog or website. You can alsoDOWNLOAD my new age spiritual healing meditation music directly from this website, for your personal use and enjoyment (not for commercial purposes, which requires a purchased license). Download full albums or single songs. The artwork is free. If you want the PHYSICAL CDs, you can conveniently order the albums online here form the authorized retailers. If you want the instrumental music not for your personal use, but as royalty-free music for a profitable public project of yours, you can easily and legally LICENSE MY MUSIC with the easy online music licensing widget I provide on this website. Purchase the music once and use the music forever for your profitable project without paying additional music royalty charges. Royalty-free new age music licensing is appropriate for films, promotional videos, corporate videos and presentations, documentaries, profitable wellness projects like spas, yoga centers, meditation retreats, Ayurveda centers or academies. It is also appropriate for Tai Chi centers, holistic healing seminars or teleseminars, spiritual or healing CDs or DVDs for sale, websites, sites or blogs that sell or advertise holistic products (Ayurvedic products, holistic remedies, natural remedies, green products, Bach flower remedies, crystals, etc. ), professional healing practices, personal coaching services, etc. Want Music for Projects to Save the Planet, Humanitarian Causes, Animal Protection, and Green Nature Preservation? If you want this inspirational music for non-profit causes committed to saving the planet, promoting global peace, preserving life, protecting the environment, helping children and humanity at large, protecting animals and preserving nature(such as charities, humanitarian initiatives, environmental projects, non-profit healing centers, non-profit healing or spiritual videos, non-profit spiritual sites, non-profit sites to foster personal development or non-profit ecological sites), you are welcome to contact me to request my permission to use my music for the benefit of these life-preserving projects on the planet. Authors of independent, non-profit media (films, shorts, videos, radio, podcasts, etc.) 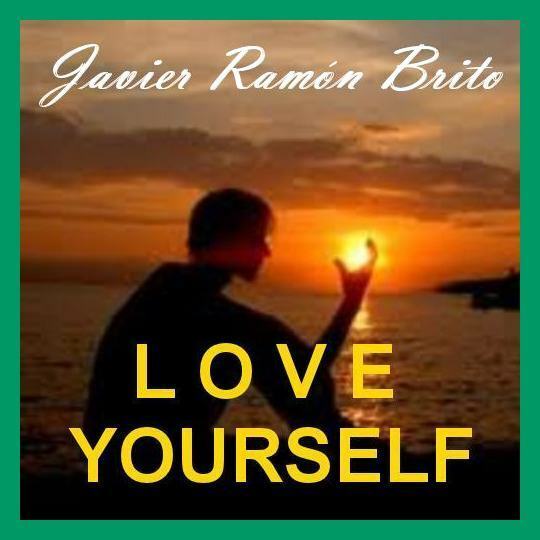 that have only positive, inspirational messages and do not have a promotional or commercial nature, are also welcome to request my permission to use my music as part of their inspiring projects. Various sound healing mp3s and holistic resources are offered to you on this website. Visit also myHOLISTIC HEALING WEBSITE and subscribe to myHEALING BLOG, where I share with you sound healing tools along with practical tips and vibrational healing techniques that might help you in your personal development, holistic health and spiritual awareness, in order to live your life more fully and with more joy. The wellness music I offer on this website is primarily inspirational meditation music for people who seek a spiritual connection as well as food for their souls and spiritual awakening. It is inspirational music to accompany your reflections, contemplations, meditations or spiritual prayers. It is also classical instrumental healing music for your enjoyment, inner peace, relaxation, holistic wellness, energy of life, spiritual fitness, inspiration and joy. My sound healing mp3s may also be used as background music for your inspiring project, particularly wellness projects or holistic healing practices. They are good to inspire relaxation, inspiration, inner meditations, inner peace, theta healing, metaphysical healing, distant healing, soul meditations, Chakra meditations, Qi gong healing, water healing, psychic meditations, acoustic meditations, inspiring visual projects, yoga, soothing SPA music, Reiki healing, energy medicine practices, natural therapy programs, natural remedies, natural medicine and remedies, Aiki healing, emotional freedom technique (EFT) and creative visualizations. Use it as background music for visualization boards designed to apply the law of attraction, or to increase the power of meditation with sound healing. You will notice that this spiritual healing meditation music is intentionally music with no lyrics, because it is designed to work with the intuitive side of your brain. You can listen to this inspiring instrumental music in a meditative state or simply enjoy the music and go where it takes you. Just focus and allow the music to do its job. The use of headphones is recommended for best results. Have joy. Joy is of utmost importance in the current shift of universal consciousness, and this meditation music wants therefore to foster joy, the emotional state that increases the energy of life. 1. In theLISTEN TO MUSIC section you may sample the music from all the albums, either with a fast connection or with a slow one. The music will play instantly, either on broadband or modem. You do not need to wait to download the music to listen to it. These are called music streams. You may also launch the online radios and listen free to the full-length songs of the various albums. The radio will keep playing while you browse the pages of this website or even if you go somewhere else on the internet, until you close the jukebox window. So you can have the music playing as background music while you are surfing on the internet. All transactions are safely handled by PayPal (even if you do not have a PayPal account). 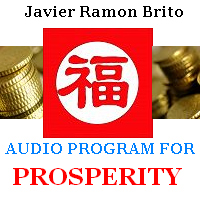 Superior sound quality MP3 files. You do not need any additional software to download the music. No copy protection (DRM). Play the MP3s all the times you want for personal use. This meditation music can also be downloaded to your PC, iPod or portable player. You may download on this site the FULL-LENGTH songs that are compatible with your iPod, mp3 player, computer, mobile player or iPhone. And you can choose your own price. You can also burn the music files to your personal CD and play them on your car stereo or home stereo. These are legal mp3 downloads with a very high sound quality. They are also DRM-free, which means there are no restrictions as to the kind or the number of computers or music players where you can play them for personal use. 2. In theDOWNLOAD MUSIC section you may download the full albums for your personal enjoyment or meditation. Again, these are legal mp3 music downloads, DRM-FREE (no copy protection). And you can burn them to your personal CD, play them on your iPod, iPhone, mp3 player, mobile player, car stereo, home stereo or any music player you might have. When you order the MP3 Albums instead of the CD versions. You may also create bundles (example: 2 albums and 5 songs). And you may use TrialPay to get your music downloads for free. This section also provides additional direct links to Amazon mp3, iTunes and many other online music downloads stores where you can also download my music. 3. 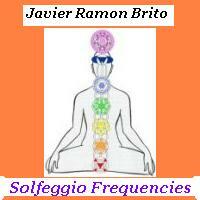 In the MUSIC CDs section you may order online the physical CDs of relaxing meditation music. You can order them from various authorized distributors that deliver the CDs worldwide and operate in different countries. They all guarantee a safe and fast delivery to your home. You may also order your CDs by phone, email, fax or ordinary mail. Many payment options are available, with or without credit cards. 4. In theTESTIMONIALS section you may read about how other people feel with this meditation music. Listen to the music and use it for your personal enjoyment, for your relaxation, personal meditation or to accompany a healing or holistic practice. Then add your personal comment to this section if you wish. It will be published on the internet and other people will see it. 5. In the REVIEWS section you may browse some reviews made about this music on the press, on the radio or on public websites where people have expressed their thoughts and feelings about it. 7. In the ARTWORK section you may get free images for your downloads of wellness music. The front covers and CD images are offered as free downloads. Once you download the music mp3s, you can burn them to your personal CD using these high resolution images. 8. In theABOUT section you can learn more about me, the albums and the songs. And about some of their healing properties. 9. In the HEALING TOOLS section you will find many useful healing tools and resources for your wellness, health, personal development, inner healing, joy and spiritual awareness. They cover different healing disciplines and provide you with many techniques and methods to foster your holistic well-being. 10. In theCONTACT section you can get in touch with me. Use this section to send me an email with your feedback, consulting offers or venture proposals while you are on this website. You may wish to ask about the most appropriate healing music for you or your project. Charities and non-profit Healing Centers are welcome to request the music for charitable projects. On the right side of this page you will find direct links to online social networks where you can also enjoy and share my music with your friends, such as Last.Fm Radio, Jango Music Radio, MySpace Music, Facebook, LinkedIn, Hi5 and iLike.